With the new DuckTales animated series, this is a good time to reprint some of the old DuckTales comic stories from the late 80's / early 90's. 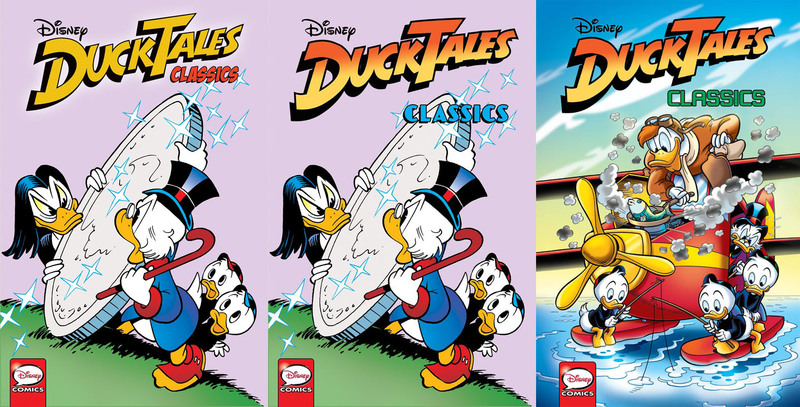 We already got the first collections of old stories in Europe last autumn, and not long ago IDW followed up with DuckTales Classics vol.1. 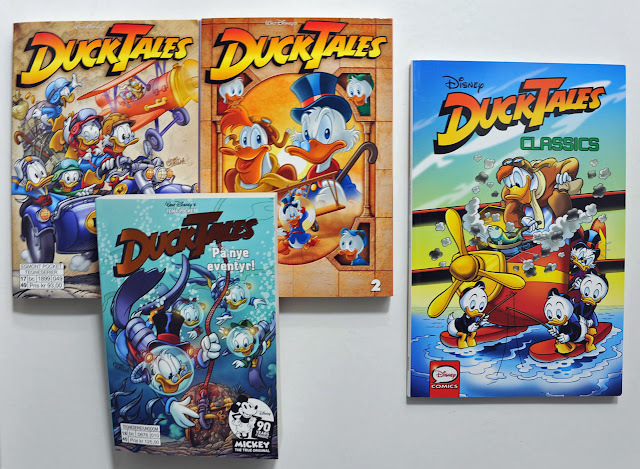 As the new animated series is a re-boot of DuckTales the IDW comic collection with old stories have “classics” added to the title and is also using the old DuckTales logo – this way trying to differentiate it from the new series. 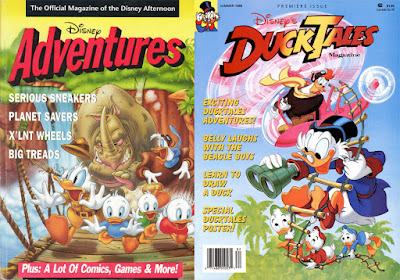 The first pre-release cover images popping up online actually used the new logo, but I'm glad they changed that. Also it looks like they originally planned to use the cover for The Bedeviled Dime (one of the stories inside) for the collection. 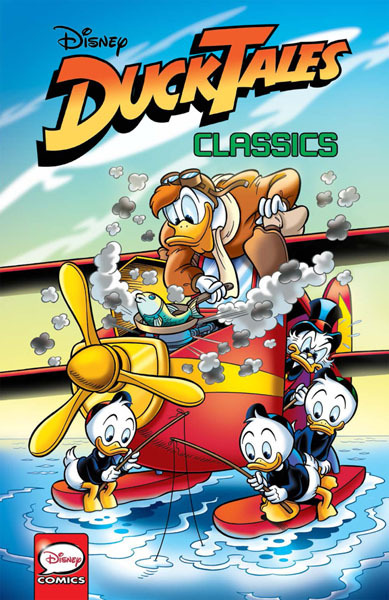 But this was changed to a more generic Egmont cover created in the 90's – but according to inducks not known to have been used anywhere before. Not the most important part of the book, but I'm glad for this change too. 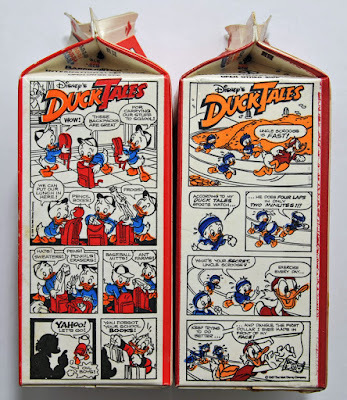 As a longtime Disney comic fan, I like when the editors dig up old unused material! 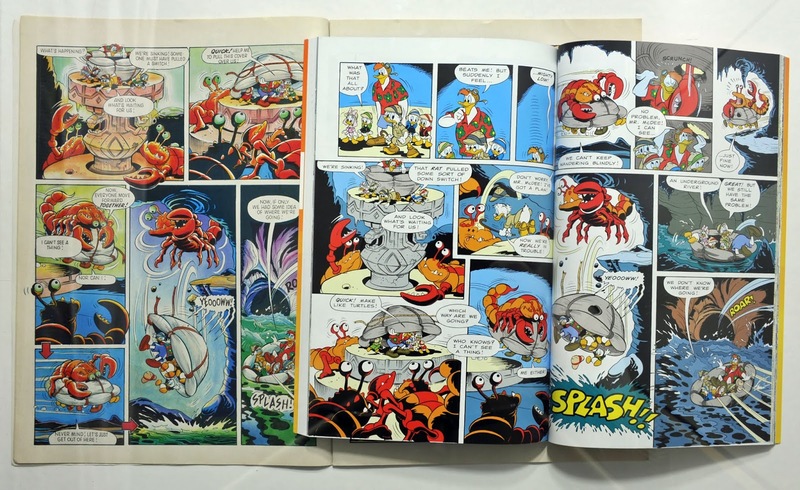 We also have a small text on the back of the book making it more clear that these are old stories. 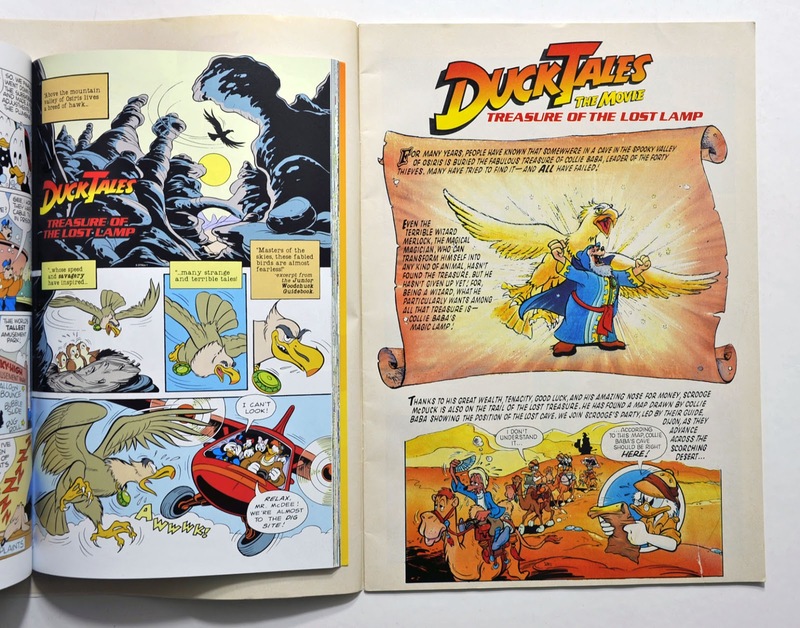 But I can imagine some younger readers not familiar with the old DuckTales series getting a bit of a surprise reading this collection, but hopefully that is a good surprise! The first book in IDW series collects all DuckTales stories drawn by William Van Horn with the comic adaptation of the 1990 Treasure of the Lost Lamp movie as a bonus story at the end, replacing the originally planned reprint of The Curse of Flabbergé. From the Previews #355 (April 2018) catalog, listing "The Curse of Flabbergé"
I'm sure a lot of fans have waited for a Van Horn collection like this and it's nice to have all of his DuckTales stories collected in one volume. But for me personally the movie adaption turned out to be just as interesting. I've already read this story before too, but only the European album edit. 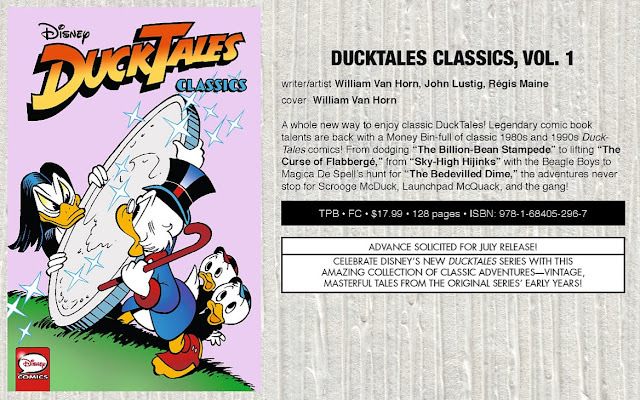 The story in IDW's Classics collection is the uncut version so that was a nice bonus. 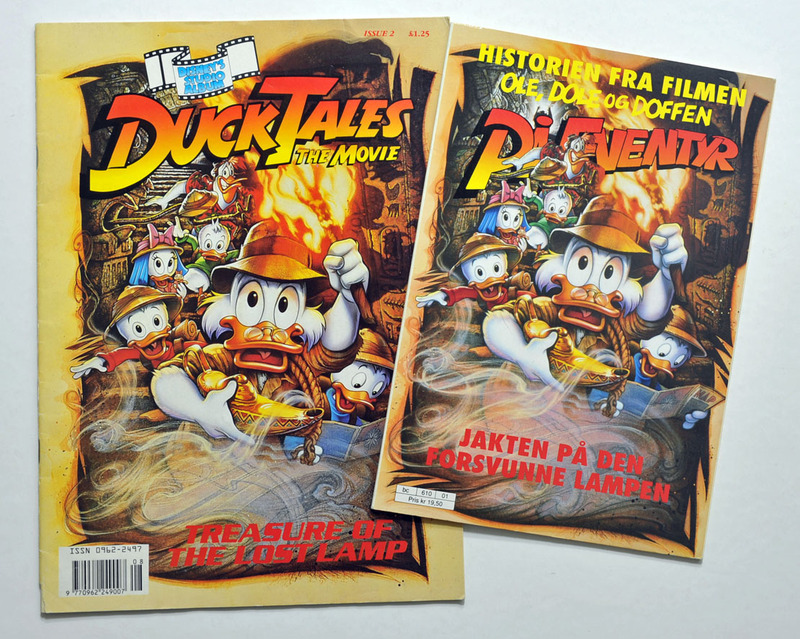 One of the Norwegian collections pictured at the top of this post (the one with the Mickey 90 logo – on sale next week) have the movie adaptation inside too, but unfortunately just the edited version. 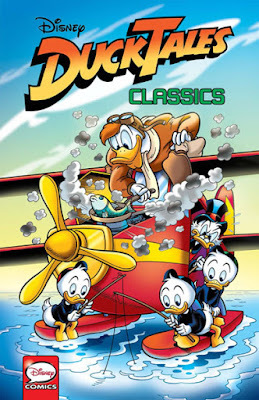 We already have a volume 2 of the IDW series announced for next year, and I hope we'll see more in the future. My wish list for upcoming volumes are some of the smaller stories from the Disney Adventures magazine and DuckTales magazine that have never been reprinted anywhere before. Some of the studio stories (S-coded stories) never seen on print in English would be nice too (there's a lot of them). 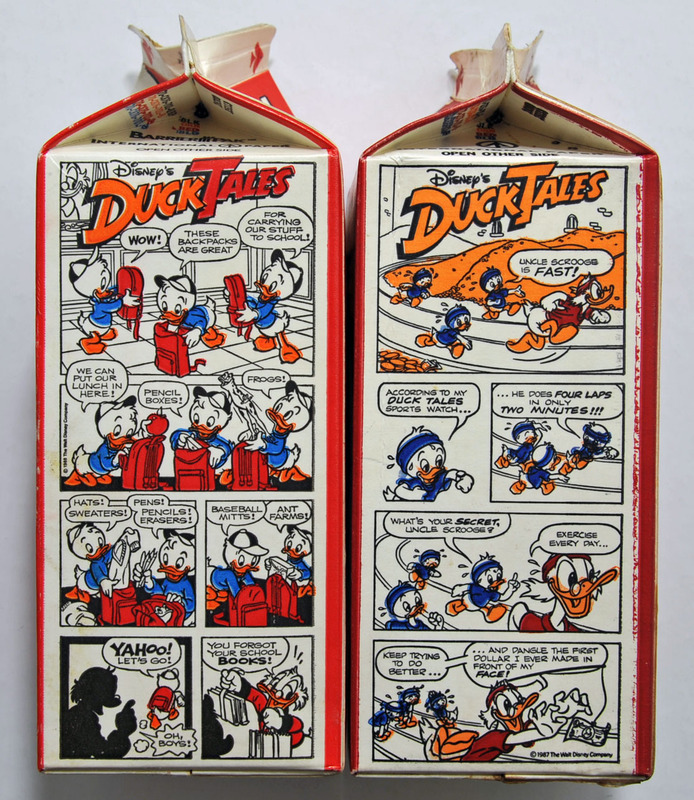 And if the editors do a deep dive in some hidden archives, a collection of all the rare DuckTales gag stories printed on American orange juice cartons would be awesome to see on print! 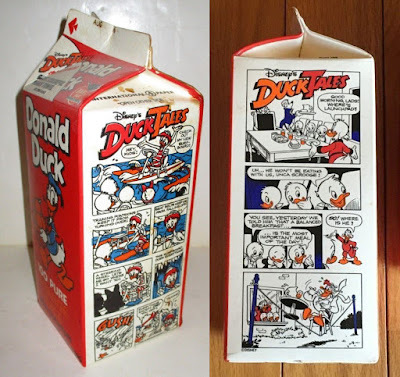 I have no idea how many exists, I only got two of the DuckTales ones – but I've seen more on eBay and such.